Marc Anthony True Professional's Nourishing Argan Oil of Morocco 3X Volume Volumizing Cream adds 3 times natural volume to your hair making it look bouncy and full of life. Get fuller, frizz-free styles with soft natural movement. Hydrates, protects and nourishes overworked dull hair and makes it voluminous. Protects against heat damage as well. Suitable for color treated hair too. Explore the entire range of Hair Creams & Masks available on Nykaa. 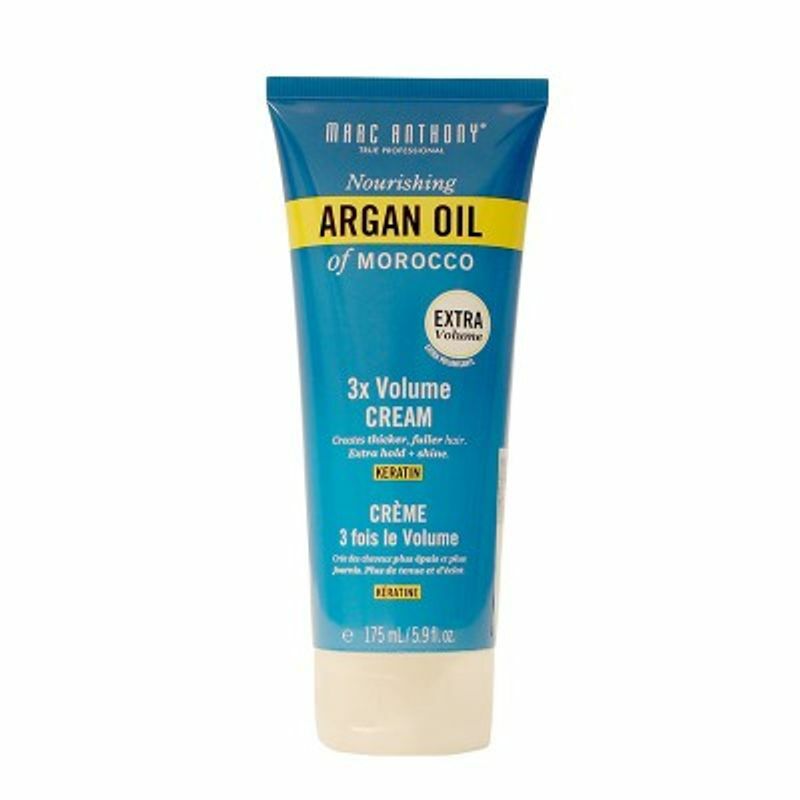 Shop more Marc Anthony products here.You can browse through the complete world of Marc Anthony Hair Creams & Masks .